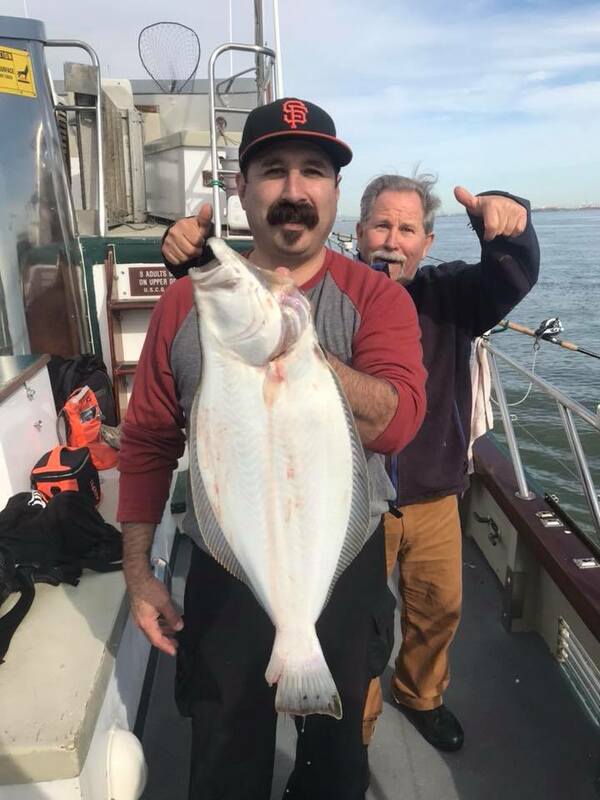 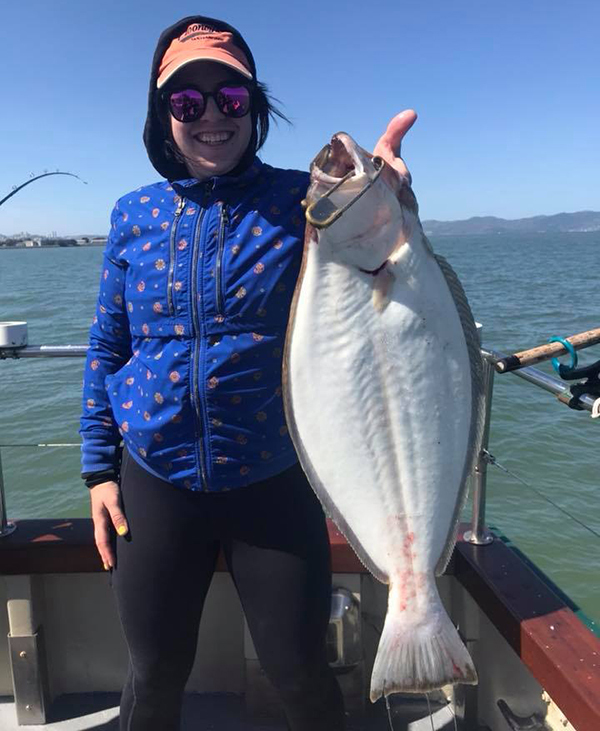 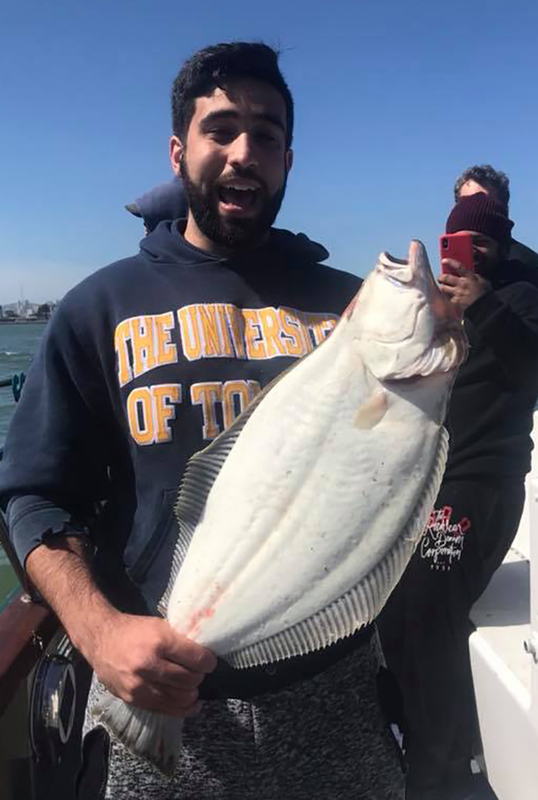 We had a nice 14 pound California Halibut today! 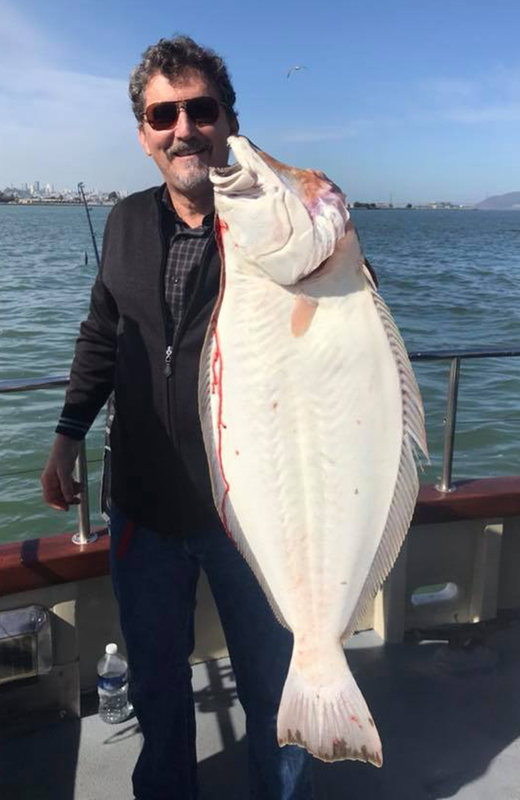 Captain Mike Rescino called in this evening with an audio update from the Lovely Martha out of San Francisco’s Fisherman’s Wharf. 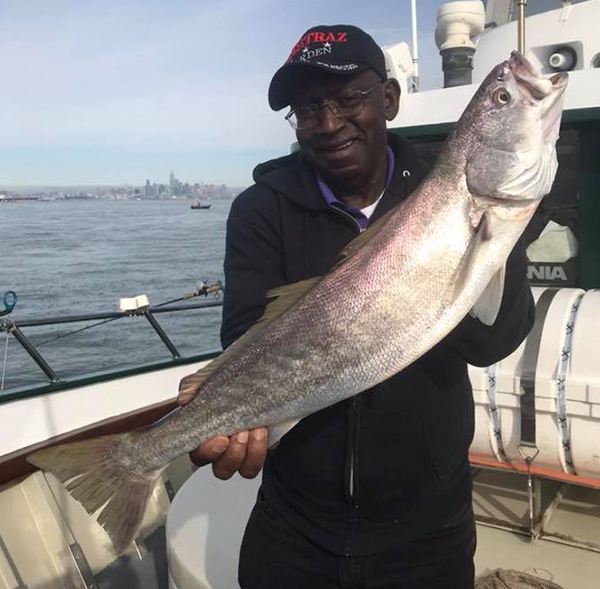 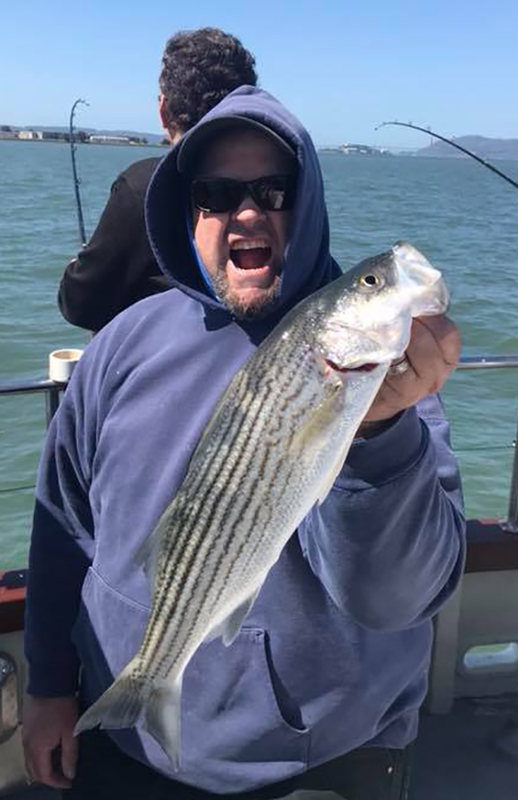 Today we had a 1/2 day trip and we stared in the South Bay where we had limits of Stripers yesterday. 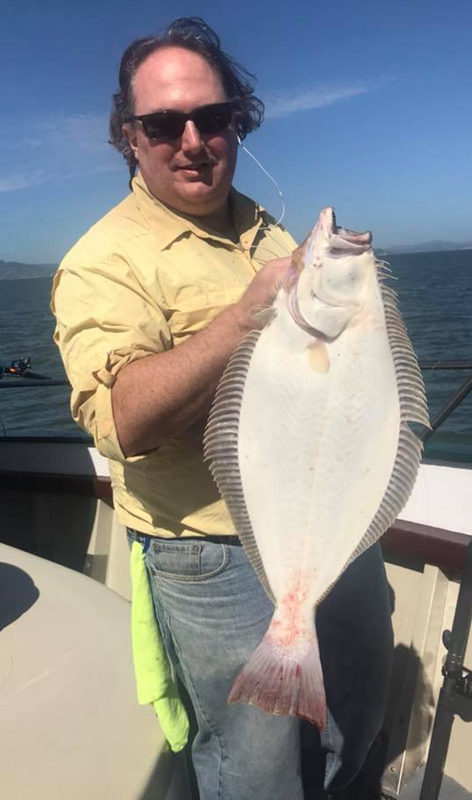 The water was muddy and the fish were no where to be found. 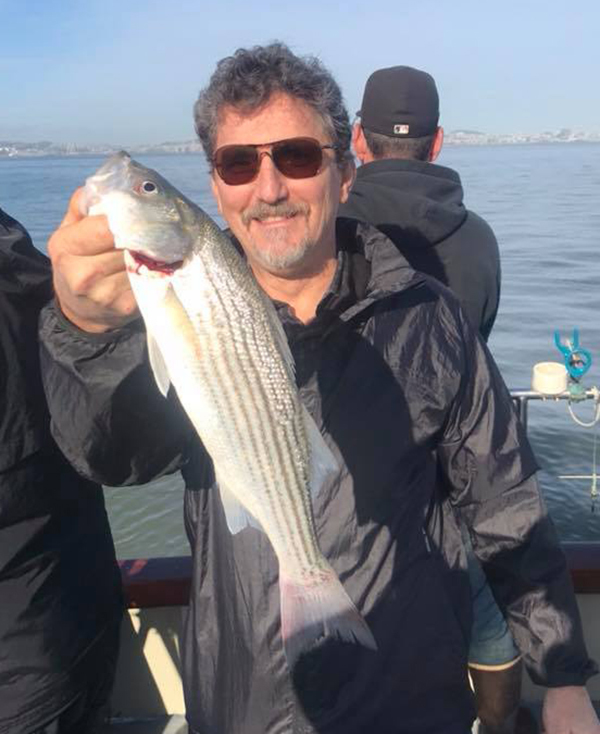 We went to a different location and found some clean water with lots of bait and some biting fish. 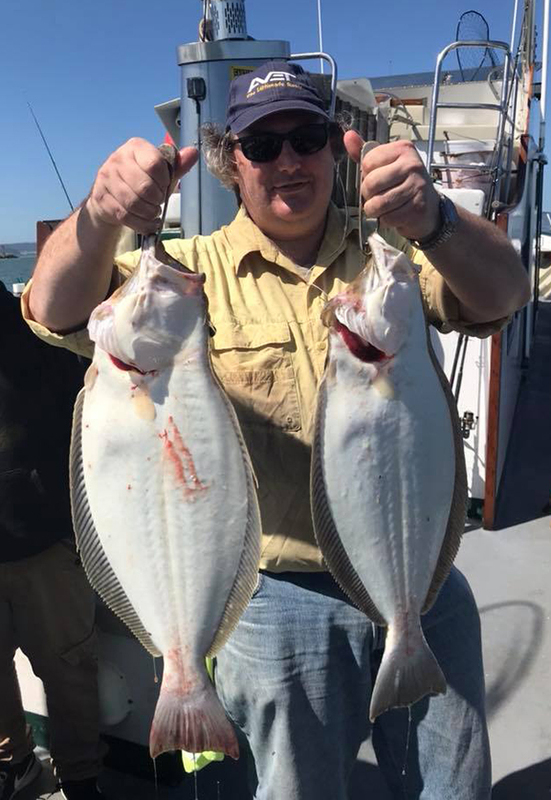 and a bunch of shaker Halibut too.